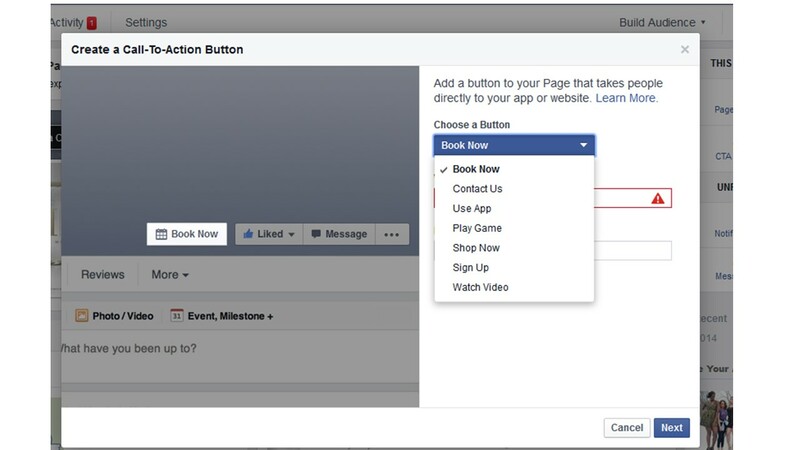 What does the new Facebook Call-to-Action button mean for your 2015 content marketing strategy? Over the next few weeks, Facebook will be gradually rolling out their new Facebook call-to-action buttons. These buttons will be located on the cover photo of your Facebook business page next to your like button. The new Facebook Call-to-Action buttons were created to help business owners get potential customers from Facebook to their most valuable destination. The Facebook Call-to-Action buttons come with 7 different options. All buttons direct visitors from your Facebook page to a website. Facebook even gives you the option of sending mobile users to a specific mobile site. This new feature was just released and businesses have already seen customer conversion rates increase. Have you tried the new call to action buttons yet? Tell us on VR Metro’s Facebook page. If you need help establishing a Facebook marketing strategy or and overall online presence, give VR Metro a call today! We can help build the proper strategy for your business at the right price.